Check out our Spring 2017 Newsletter. 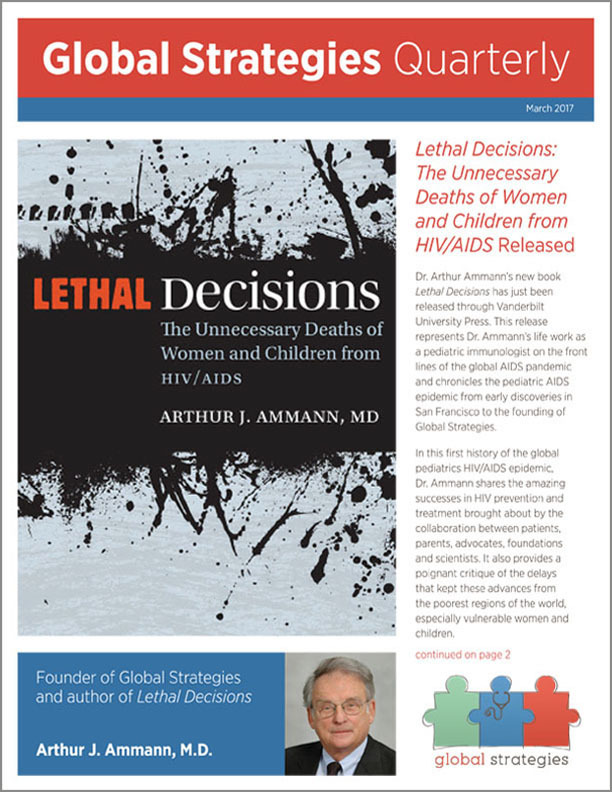 You’ll learn more about Dr. Ammann’s latest book: Lethal Decisions, recent advances in NoviGuide, and a special Spotlight on one of our partners: Faith Alive. We are at HEAL Africa for a three-month neonatal training, provided by Global Strategies. With this training, we are able to take better care of neonatal infants in our hospitals. Welcome to the Global Strategies Online Community! Like Global Strategies on Facebook and let your friends know that you're a Global Strategies supporter. Follow us on Twitter and get our latest updates from the field.